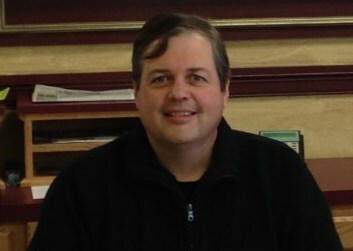 Powers Auto is pleased to introduce Eric Bourgoin as our new Sales Manager! Eric has owned and operated new and used car dealerships in the past, and comes to us with 25+ years experience in the Auto Sales Industry. He is a dedicated family man, married 23 years to his wife Laurie, and they have 2 beautiful daughters. Eric has been selling cars since he was 19 years old and knows how to fit the customer with the car and an affordable monthly payment. He is very good at finding exactly what the customer is looking for by utilizing his contacts up and down the East Coast. With Eric’s help, Powers Auto will be moving car sales up to the next level by offering more late model Program and Certified vehicles. We will continue to offer our outstanding 60 day/2,000 mile Bumper-to-Bumper Warranty, and will also offer LIFETIME INSPECTION STICKERS on all vehicles sold in 2014. POWERS AUTO FINANCE DEPARTMENT has many options available that will fit most customers credit history. Powers Auto also offers EXTENDED WARRANTY and G.A.P. INSURANCE just like the new car dealers! If you don’t see what you are looking for on our website or at Powers Auto, please give us a call or stop by… we can find it and sell it to you at a GREAT PRICE with a GREAT WARRANTY!